The biggest event of the British Tennis season is currently underway and as with all prestigious events, one of the main talking points around Wimbledon has been the fashion; on and off the court. Wimbledon holds the proud title as the oldest tennis tournament in the World and attracts spectators from all across the globe. The first ever Wimbledon took place in 1877 and as the sport has evolved over the past decade, so has the fashion. Whilst the player’s outfits are greatly anticipated, the main fashion focus of Wimbledon is what the spectators are wearing; we love to see what our favourite famous faces are wearing and take inspiration for our own summer looks. One of the most influential faces at Wimbledon each year is tennis ace Andy Murray’s girlfriend Kim Sears. In 2013, she stepped out wearing a bright floral print dress from Zara and after she was papped wearing the dress, it instantly sold out. Floral printed dresses are summer essentials for all girls – they are stylish, flirty and perfect for dressing up and down to suit the occasion. Here are a few our favourite floral print dresses this summer, click here to view our full collection of limited edition dresses. This year, Kim was seen sporting a chic looking floral number, the limited colour palette created an elegant and classical look. Below is a dress from the ROSAvelt collection that is similar to Kim’s. 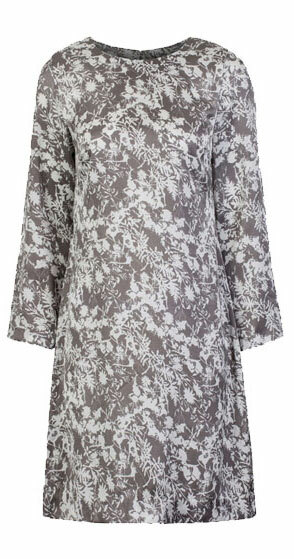 If you would like Kim’s look, click here to see this beautiful printed dress in more detail.